Welcome to the Quincy Farmer’s Market! Presented by Quincy Medical Group. Saturdays, May – October from 8a-1p in Washington Park. The Quincy Farmers Market is truly a community event, that brings people together from the region to buy directly from local Tri-State Area vendors/producers and enjoy the bounty of the locally grown produce, delicious baked goods, flowers/plants and beautifully hand crafted items. 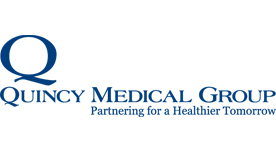 The Quincy Medical Group provides children’s activities every Saturday for free from 9:30- 12 p.m. Educational herb, fruit and vegetable cards and recipes for families in addition to the free activities. 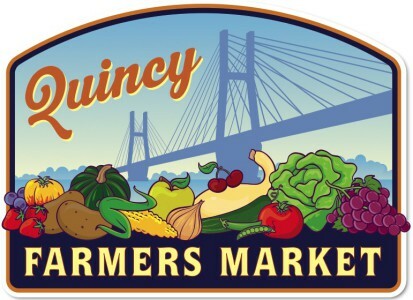 The Quincy Farmers Market accepts cash, Debit/Credit cards and QFM Market Dollars, as well as SNAP/EBT and WIC vouchers at approved vendors. If the vendor does not accept debit or credit at their booth, Market staff can process credit and debit payments at the Market Information Booth. This year we are excited to welcome market managers, Schaenon Elbus and Sierra Peters! The Quincy Medical Group Healthcare Foundation is in its third year of partnership with the market in providing children’s activities every Saturday for free from 9:30- 12 p.m. Last year we averaged 40 to 80 children taking part in our activities each weekend. This year we plan on adding even more! At the market you will find educational herb, fruit and vegetable cards and recipes for families in addition to the free activities. We hope to educate and entertain the public as they buy fresh products that are healthy for their families. Did you know the market also accepts EBT, (SNAP) and WIC Vouchers and you can become an approved vendor with the State? As a vendor, if you do not accept debit or credit at your booth, market staff can process credit and debit payments at the Market Information Booth, providing vouchers for the public to use to shop with you. The market staff then reimburses you for the vouchers. We are also proud to announce we received a grant to DOUBLE the amount of money individuals who have SNAP and Link cards can use at our market up to $25. So if they spend $25 in Link we’ll DOUBLE to make it $50!! Make sure you sign up with the State to be an approved vendor to accept these funds. We welcome homegrown & handcrafted vendors to the Quincy Farmers Market, as well as prepared food vendors. **Based on the 2015 customer survey, prepared food, coffee, cheese and bread vendors are desired and recommended to apply. Farmers Market Application 2019 Coming soon! Those who commit to the annual fee will have their vendor space reserved at each market until 6:30am. Promote a community gathering spot that creates a festive atmosphere and a community destination. Get the latest news event information direct to your inbox. ©2019 the District. All Rights Reserved. Website by Rokusek.